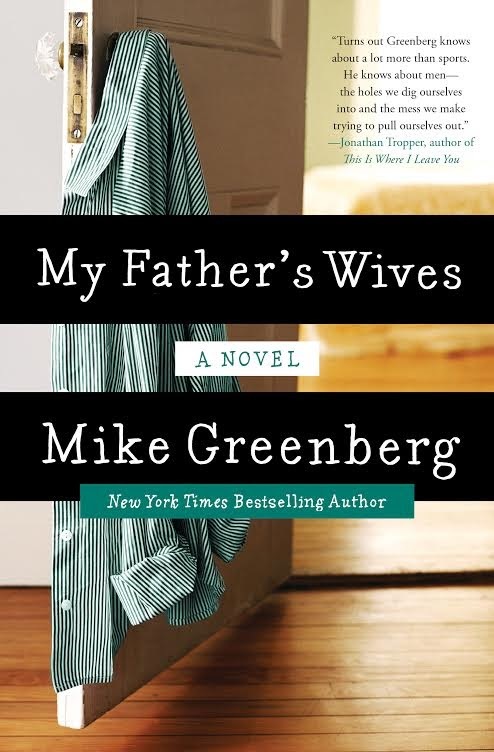 We're pleased to have Mike Greenberg back at CLC to promote his sophomore novel, My Father's Wives. He was here almost two years ago with the soundtrack to his debut novel, All You Could Ask For (reviewed here). This time, he's talking about his favorite things. 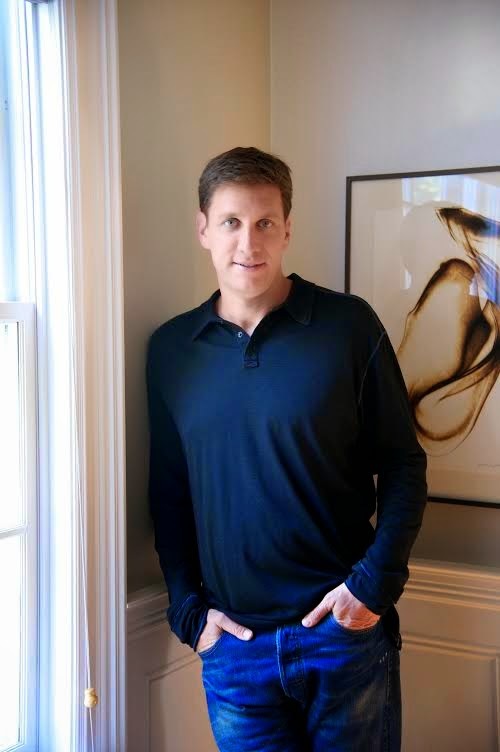 Mike Greenberg is the cohost of ESPN's Mike and Mike, the highest-rated sports talk program in the United States, and the author of the New York Times bestselling books All You Could Ask For, Why My Wife Thinks I'm an Idiot, and Mike and Mike's Rules for Sports and Life. He is a graduate of the Medill School of Journalism at Northwestern University and a native of New York City. He currently lives in Connecticut with his wife and two children. Follow him on Twitter. Thanks to HarperCollins, we have THREE copies of My Father's Wives for some lucky US readers! 1 - Everyone would get a copy of The World According To Garp, by John Irving. It changed my life. And it might change others' too. I find it the most accessible, readable, easily devourable work of great fiction I have ever read. In my case, it inspired me to write. When I finished "Garp," I thought to myself I was either going to be a writer or I was going to be nothing at all. 2 - Everyone would get a copy of the Paul Simon album, Graceland. A quarter of a century after it was released, every song still sounds like you are hearing it for the first time. I am a fan of poets and lyricists, and Paul Simon is both. The imagery in the writing on Graceland is epic. "The way we look to a distant constellation that's dying in the corner of the sky..." He's a genius. 3 - Everyone would get an iPad. I genuinely have no idea how I lived without mine, which, by the way, I am using right now to write this. And when I am done I can use it to listen to Graceland and read Garp, along with about a trillion other uses. 4 - Golf clubs. I love golf about as much as I love anything or anyone I am not related to. And the game is struggling in our country, fewer people are playing, courses are closing left and right. To me this is a tragedy. Golf provides fresh air, green grass and a lesson in patience: three things all of us surely need. 5 - A new car. Doesn't even really matter which kind. It's just that I was raised on game shows, and there was never anything more exciting than when a prize was revealed and the announcer would shout: "It's a new car!!!!" Just once in my life, I'd like to do that. Thanks to Mike for sharing his favorite things with us and to HarperCollins for sharing his book with our readers. US only. Giveaway ends February 2nd at midnight EST. I can't really say any book has changed my life or had any sort of impact on it. There were lots I loved and some that had something in it that gave me ideas. But, none really made any kind of impact on my life. Good in Bed by Jennifer Weiner impacted me. I listened to the audiobook read by Paula Cale. At the time it came out, the book seemed so much more like a novel showing adversity through personal struggles. I love to read and I enjoy many genres but The Holy Bible has influenced my life the most. I saw Mike's interview on GMA and I really look forward to reading this book! The Kitchen Counter Cooking School is the one book that I believe changed how I feed my family. It was quite impactful and I recommend it to EVERYONE. Really talked about nourishing the soul and the stomach. Showed it is not hard to do. Showed that it is healthy. Great book from Kathleen Finn who also wrote The sharper the knife the less you cry, another of my favorite books. I don't know about changing my life, other than when I read a really well written book, I spend days wanting to write after I'm done reading it. I love reading and writing.....not so much arithmetic. I'm not sure how much of an impact it made other than giving me a more healthy respect for animals, especially great apes but, In the Shadow of Man by Jane Goodall, which I read in the early 70s has always been one of my all-time favorite books. I don't know that it has changed my life, but it certainly had an impact. I would say it's To Kill A Mockingbird. I would say the Little House on the Prairie books. They really helped get my love of reading started. Not sure I can say pin point a book that has impacted my life...depending on the subject matter I've had thought provoking moments that stick with me. I loved All You Can Ask For...can't wait to read this one! I was impacted strongly by Jack Kerouac's On The Road for many years when I was younger. I still think it's a great piece of work. I've read so many books but can't say any certain one really impacted my life. I guess I could just say the books that got me started on the road to a lifetime of reading...the Nancy Drew books. The Woman Warrior by Maxine Hong Kingston, a very special book. The Last Lecture by Randy Pausch was very emotional; it was about making the most of life. Wow, to try and pick just one book that has impacted me is hard. I have to say reading in general has been a very positive thing for me. I love to be able to get lost in a book and escape the problems of real life. It is a great de-stresser! The book that had the most impact was Fine Things by Danielle Steel. Why? It was the first book ever that made me cry. Growing up, when I would read books, I would read a book by an author, then obsess about reading all books by that author. I was reading books younger than I should have been reading so my mom had to push me to try books written for my age group or books written for kids a few years older than I was. Ever since I read Fine Things, I read pretty much all of Danielle Steel books. She is the first author I really fell in love with. Other books have had impacted me but not nearly as much as Fine Things. I would have to say Little Women. I love Little Women. Reading in General has influenced me with fiction and non-fiction books.